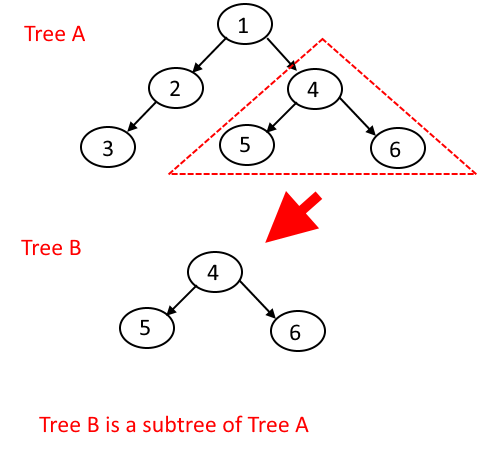 We know that to indentity any binary tree can be represented as the combination of either inorder and preorder traversal OR inorder and postorder traversal OR inorder and Level order traversal. Say our trees are A and B. Do the inorder traveral of treeA and store it in a String say inorderA. Do the inorder traveral of treeB and store it in a String say inorderB. Do the postorder traveral of treeA and store it in a String say postorderA. Do the postorder traveral of treeB and store it in a String say postorderB. 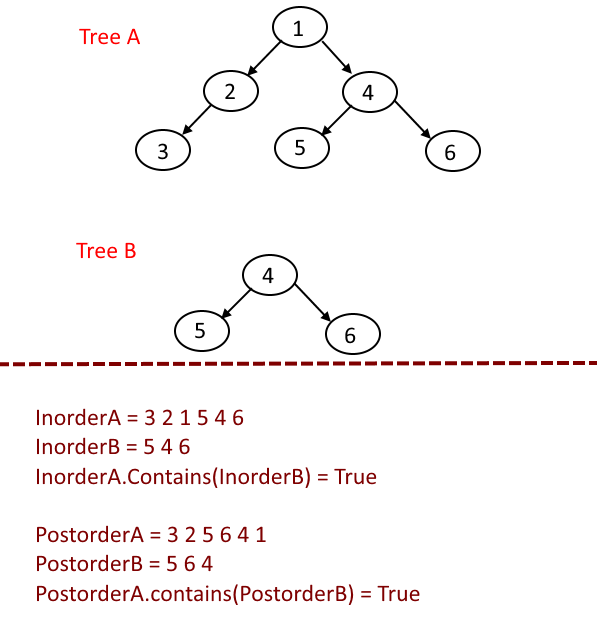 Check if inorderA contains inorderB AND postorderA contains postorderB then it means treeB is a subtree of treeA. 229 queries in 0.103 seconds.